The problem with them is they just kind of sit there, usually the slider flips over and you have to pick it up to adjust the brightness. As a result of this, I started to plan a way to mount them, and have them look nice in the process. They'd be in the same location (near the outlet) so I could mount them in the same place. This is a project that I started quite some time ago, and picked up, put down, rinse and repeat for far too long. 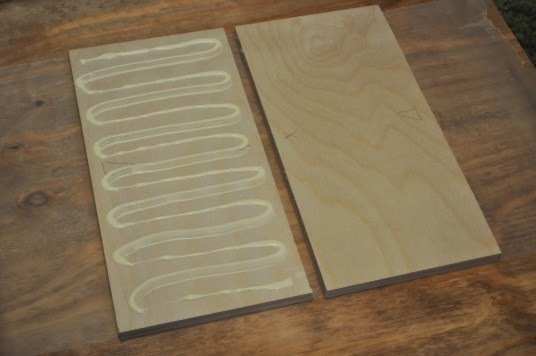 Before I knew any better, I bought some Baltic Birch plywood (very small pieces, sadly) at Michael's craft store for far too much money. The panel needed to be approximately 1" thick, and the stock I had was 1/2" thick. To remedy this, I cut the stock in half, and proceeded to laminate them together. After figuring out spacing, drawing guidelines onto the stock, I broke out Mr. Jigsaw and began hacking away at the plywood. This is where I learned a few things. 1) Use the correct blade for the job. 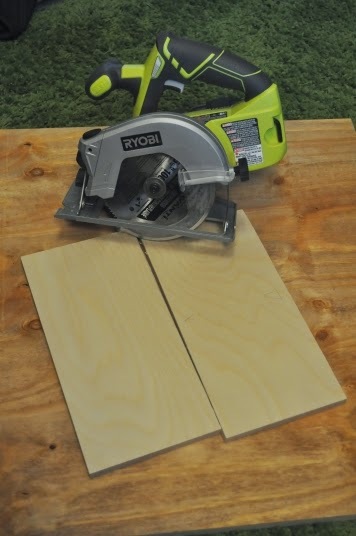 2) Learn what the various settings on your jigsaw do, before you cut expensive wood. As a result of the lessons learned, there was a significant amount of tear-out on the back of the piece, and the blades I used dulled very fast. Leaving me with very rough holes, that took a lot of filing, sanding, and cursing - all to get it to a still rough state, but one that barely fits the dimmer switches. I still have another 1" thick piece of stock, so I plan to re-cut the sockets for the dimmer switches. In this case, I will use a router and a spiral bit to hollow out what I need, which will leave cleaner edges, and a better fit. Next I started on the cover-plate. I didn't want the dimmers to be seen, only the slider portion of it would be shown. I took measurements, found the appropriate sized/radius of drill bit, and went to town. To clear out the rest, I used a coping saw to clean out the remainder. 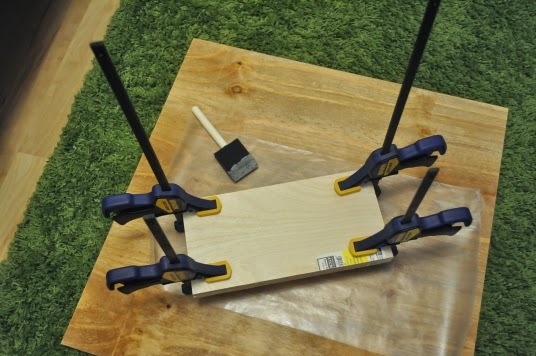 Since I don't own a scroll saw, this is a simple and inexpensive alternative. Once I cut out the excess, I did a quick test fit, which turned out pretty close, I just need to do a little bit of filing to perfect the fit, and I'll be happy with the result. This is where it stands. I'm not very happy with the build up to this point. I'll be planning and building a second version, with a different method of construction. This is all part of the learning process, learning how to design better, how to plan better, and practicing different woodworking techniques. Stay tuned for the revised build!